The fight against human trafficking is getting some much needed help. The Ontario Motor Coach Association (OMCA) and U.S.-based Busing on the Lookout (BOTL) are joining forces to combat the serious problem of human trafficking. Thousands of women are victims of human trafficking each year. According to Statistics Canada 75% of the victims are under 25, and 1 in 4 are children under 16. OMCA President Doug Switzer said the partnership will provide the bus and school bus industry with training to allow them to identify and report potential human trafficking situations. “We’re not asking bus drivers to actually intervene but we’re trying to make them more sensitized to the issue of human trafficking, where it happens, how it happens, how to identify it and what to do when they see something. It’s the old if you see something, say something,” said Switzer. 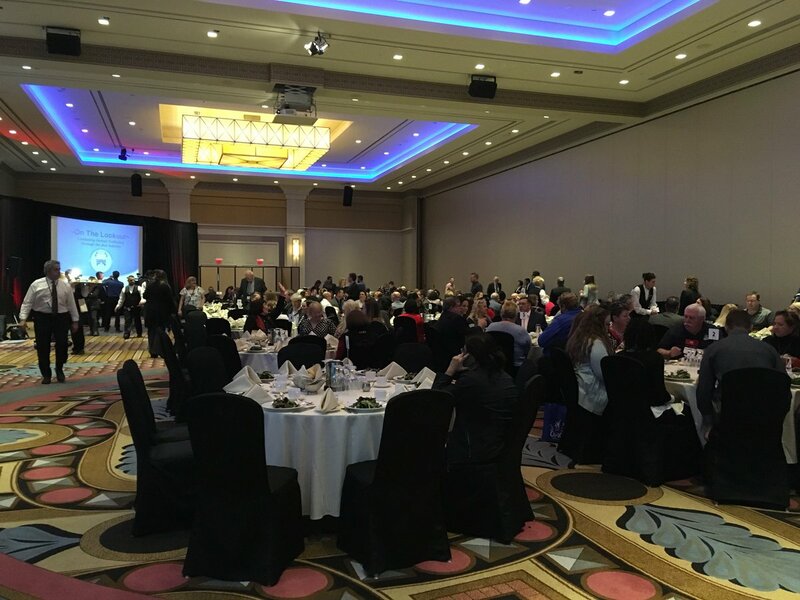 A Memorandum of Understanding was officially signed at the OMCA’s Annual Conference at Caesars Windsor on Monday formalizing the partnership. Switzer said the bus industry has a key role to fill to fight a crime like human trafficking and having an extra set of eyes and ears is important in recovering victims and arresting traffickers. “A lot of things you do as an industry association are for the benefit of the members but we also have a social responsibility to deal with important issues like human trafficking,” he adds. Switzer said it is important for all members of the transportation industry to get involved because evil will triumph if people do nothing to stop human trafficking. “I think anybody who has worked in the industry for a while has seen a lot of things and at the time they roll their eyes and wonder what it was all about but didn’t know what else to do about it and thought somebody ought to do something about that. Hopefully by doing this we will get into a situation where they will know what to do and who to call,” Switzer said.